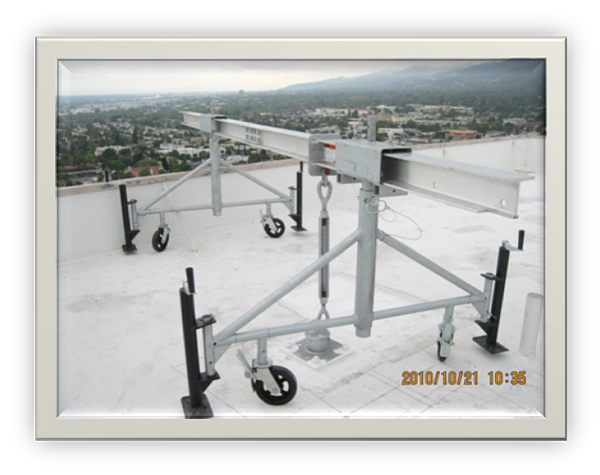 An Outrigger System is a low-profile one or two beam system that uses two points of contact to steady itself on the roof of a building. The back end of the outrigger can be tied down to an approved roof anchorage point or come equipped with a counterweight to resist the overturning force from the suspended work platform. 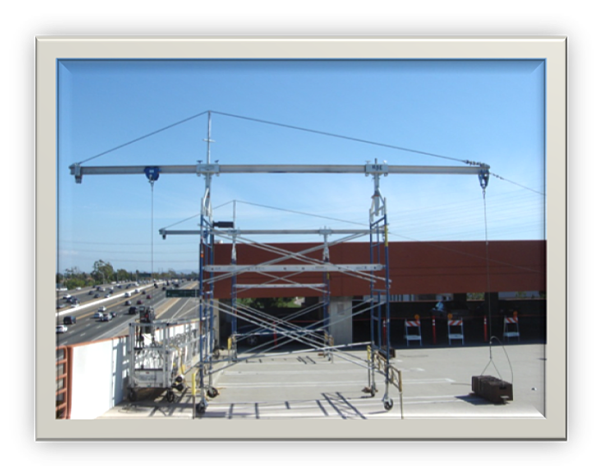 In most cases, this system is used as a temporary solution to allow for building access during construction. It can also be installed as a permanent solution to obtain access to your building’s facade. 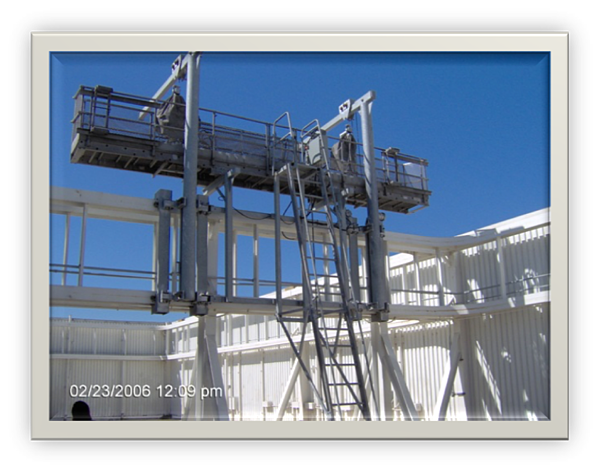 In both cases, outrigger systems require “ground rigging,” which means the suspended work platform must start at the ground level. 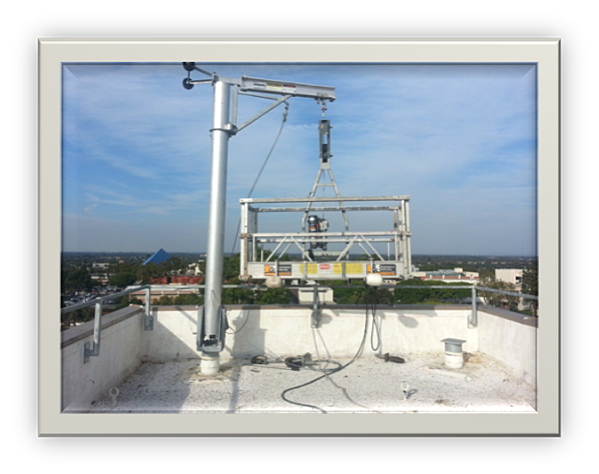 The Davit System is a permanent installation of davit pedestals at the roof level that serves as anchor points for the portable equipment (sockets, davit arms, etc. ), which are used to suspend a work platform at each drop location. 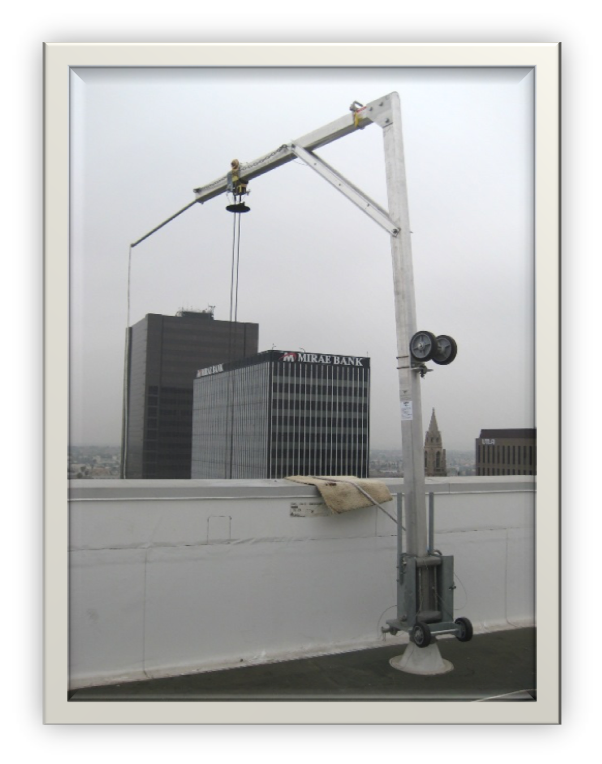 These davit arms can be moved from location to location quickly and are installed on a finished building, as to allow for the proper anchoring of the system to the roof. Davit systems do have a high profile option that, unlike the Outrigger system, allows for “roof rigging” in which the workers can enter the suspended work platform at the roof level. When not in use, the portable davit arms can be laid down and stored out of sight. Local codes and standards in the building’s city or state will dictate available system options; in most cases, either will work. The differences between these two systems may be hard to visualize if we’re honest. Lucky for you, we know which is best for each particular situation. Our experts have been consulting on facade access for decades. If you have questions about which system to use, please call us at 949-309-2820 or contact us. Being in business since 1989, we bring facade access expertise and are ready to answer any of your questions.